Just as you will prepare for your wedding invitations, the wedding gown, flowers, photography, and other aspects of the wedding, you will also need to plan for your skin so that on your special day, you look radiant. The great news is that you can begin a good facial regimen so that your skin is at its best. 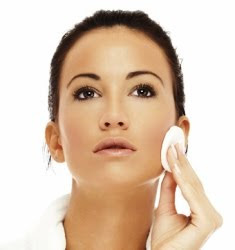 If you have minor to moderate skin problems, typically a good home routine will work perfectly. In most cases, you can visit your local store or beauty supply store where you can purchase products such as cleanser, a gentle facial scrub, toner, and moisturizer for your type of skin. If you have problem skin, you can meet with a licensed Dermatologist or Esthetician that can help you prepare for your wedding. The most important thing to remember is to use quality products and start with gentle products. Many times, you will find stores selling package products, which might not be the best. For instance, the cleanser and toner may be okay but the moisturizer might be wrong or vice versa. To get started, you want to get on a program about six months prior to the wedding. The reason is that sometimes when a new facial routine is started, the skin can actually experience breakouts, as dirt and grime make their way to the surface. This way, your skin can be cleaned and then settle down, resulting in beautiful and smooth skin. In a blender, mix dry oatmeal until it turns into a fine powder. Then mix in enough honey to create a medium-thick paste. Take this mixture and massage it into your face, leaving it on for about 15 to 20 minutes. When done, rinse your face with warm water. Finally, complete the routine with toner and a good moisturizer. If you want to avoid the expensive toners sold at stores, you can simply use Witch Hazel, sold at most retail or drug stores. If you have dry skin, you can use aloe vera gel to create a mask. Once you have applied it to your face, leave it on for about 15 minutes. Then with a soft cotton cloth, wipe the majority of it off and simply massage the remaining gel into your skin. Once you only have two to three weeks left before your wedding day, you want to avoid tanning in the sun or a tanning bed. This will only dry your skin, undoing all the work you have completed. Instead, you can get a tan spray, giving your skin a nice, natural glow without the drying effect. Additionally, make sure you avoid harsh skin treatments as well as facial waxing. Remember, with proper care, you will look like a princess on the biggest day of your life.